Get a sense of the local culture at Australian National Maritime Museum and Darling Harbour. Family-friendly places like Manly Beach and Shelly Beach will thrill your kids. There's lots more to do: take a stroll through The Rocks, admire the natural beauty at Royal Botanic Garden Sydney, enjoy the sand and surf at Bondi Beach, and tour the pleasant surroundings at The Opera House to the Botanic Gardens Walk. To see ratings, traveler tips, where to stay, and other tourist information, read our Sydney online trip maker . Use the Route module to find suitable travel options from your home destination to Sydney. 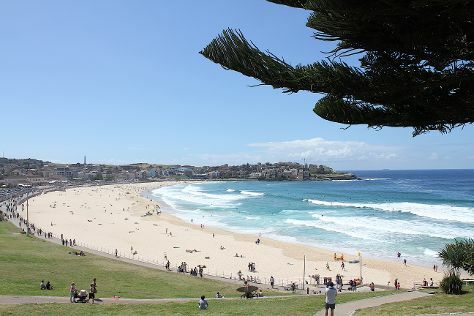 In April, daytime highs in Sydney are 26°C, while nighttime lows are 17°C. Wrap up your sightseeing on the 22nd (Mon) early enough to travel to Adelaide. Kids will enjoy Cleland Wildlife Park and Glenelg Beach. Get some cultural insight at South Australian Museum and Vine Art Studio, Gallery & Therapeutic Massage. Explore Adelaide's surroundings by going to Aldinga Beach (in Aldinga Beach), Granite Island (in Victor Harbor) and National Motor Museum (in Birdwood). There's lots more to do: learn about winemaking at Crabtree Watervale Wines, get engrossed in the history at State Library of South Australia, and admire the masterpieces at Flinders University Art Museum & City Gallery. 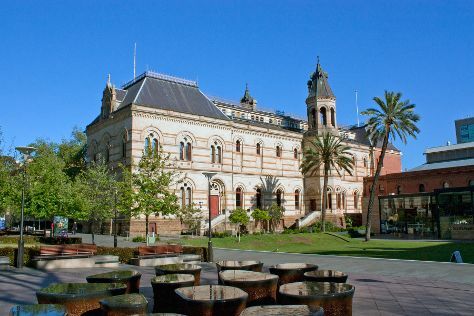 To see reviews, traveler tips, ratings, and other tourist information, use the Adelaide travel itinerary planner . You can fly from Sydney to Adelaide in 4.5 hours. Alternatively, you can drive; or take a bus. Traveling from Sydney in April, Adelaide is slightly colder at night with lows of 14°C. Wrap up your sightseeing on the 26th (Fri) early enough to travel back home.